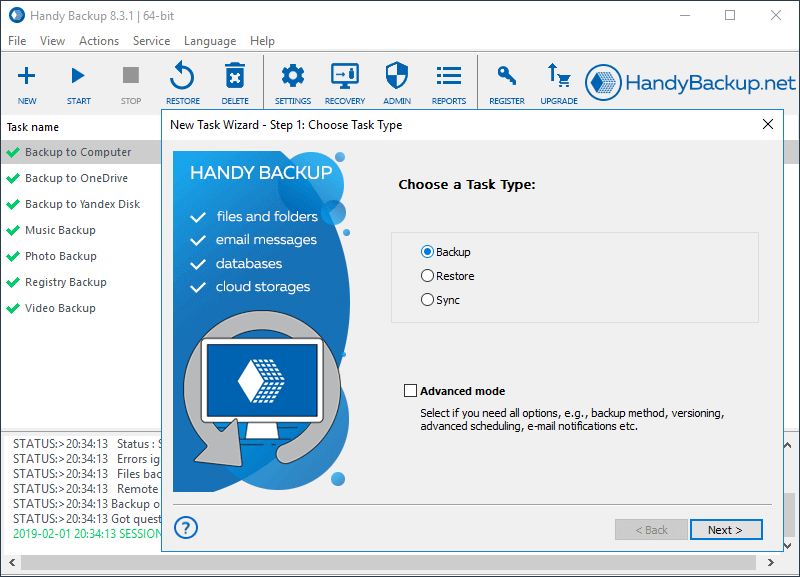 Handy Backup Small business is a full backup solution for single server data and applications. It supports Windows Server 2016/2012/2008 and Windows 10/8/7/Vista, as well as Ubuntu Linux. The program can back up MS Exchange data, MS SQL, MySQL, PostgreSQL, IBM DB2, Lotus Notes, Oracle and other databases, Hyper-V and VMware virtual machines, webmail server data (Gmail, Yahoo!Mail, Outlook.com etc) and other information. It utilizes a wide range of storage media, including local and network drives, USB external disks, FTP/FTPS/SFTP servers, WebDAV- and S3- compatible clouds (e.g. 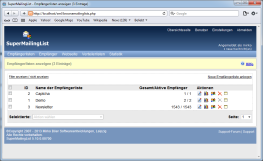 Amazon S3), Google Drive, OneDrive and OneDrive for Business, Dropbox, OwnCloud and other clouds. Users can protect backups with 128-bit BlowFish encryption, compress it or store backup data in native formats. This solution provides full, incremental, differential and mixed backup with versioning, scheduling and other advanced options. The disk image function allows performing complete PC backup through creating a drive image (snapshot) for any system disk with all stored data and system records. In 2012, Handy Backup Small Business was awarded as the "Best Small Business App" by PCMag.